Here's a good list of children's Easter books about the Easter bunny and such, all non-Christian books, (except for #3), but adorable. This one is sold at Deseret Book and is a board book! Many wonderful story books, filled with amazing artwork, have arisen to teach children the triumphant truth of Easter, the highest holiday in the Christian calendar, celebrating the Lord's resurrection over sin and death. Published by Zonderkidz in 2008 and available in a 40-page clothbound (hardcover) edition, Benjamin's Box: The Story of the Resurrection Eggs is priced at $7.99. Melody Carlson's other published books for children include Baby's First Book of Prayers, The Most Beautiful Tree, The Greatest Gift, King of the Stable,My Happy Heart and 'Twas the Night: The Nativity Story. What is the meaning behind the traditional Easter Egg? The Legend of the Easter Egg reveals the secret. Young readers follow siblings Thomas and Lucy, as they gather eggs at their farm. Later, Thomas visits a local candy store owner and his wife and learns about Easter, Easter eggs and the promise of new life. Published in 1999 by Zonderkidz, The Legend of the Easter Egg is available ina 32-page clothbound (hardcover) edition for $15.00, as well as Kindle and board book versions. What does a simple sand dollar have to do with Easter? The Legend of the Sand Dollar: An Inspirational Story of Hope for Easter explains the connection. Kerry, an eight-year-old girl, finds a sand dollar on the beach and learns how the markings on this nature find reveal the truth of the hope of new life, revealed in the resurrection of the Lord Christ at Easter. Published by Zonderkidz in 2005, The Legend of the Sand Dollar is available in a 32-page clothbound (hardcover) edition for $16.99. Christians love to send and receive stunning white Easter lilies to celebrate Resurrection Sunday. What is the meaning behind this flowery tradition? In the Parable of the Lily, young readers may discover the key. Young Maggie is surprised to receive a strange gift, a clump of soil containing what seems to be a dead flower bulb. After tossing it into the dirt, Maggie later finds that the bulb has sprouted into a gorgeous white Easter lily. What once was dead has brought forth a beautiful new creation. The Parable of the Lily is part of Liz Curtis Higgs' popular series of Christian picture books for children. Other books in the series include The Pine Tree Parable, The Pumpkin Patch Parable and The Sunflower Parable. 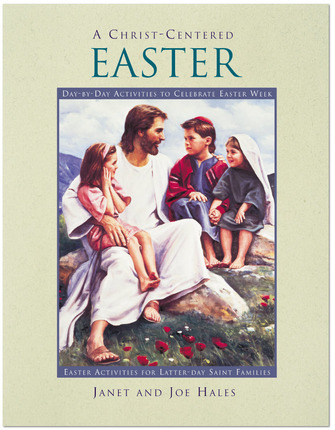 This perennial favorite 32-page Easter story book, published by Thomas Nelson, is now available as a 10th Anniversary Edition (priced at $8.99). Adults reading The Tale of Three Trees aloud with children may find themselves weeping at this imaginative story. This lovely story reveals three trees growing on a mountain. Each tree dreams of what it may one day become. One tree longs to be crafted into a treasure chest. Another tree desires to become a sturdy boat. The third tree would like to be a sign, pointing to God. Each tree's desire is fulfilled in an unexpected way through the life and death of Christ. Published in 1989 by David C. Cook, The Tale of Three Trees is available in a 25-page clothbound (hardcover) edition, priced at $14.99. The Tale of Three Trees has also been published as a board book (priced at $8.99) for younger children. Sharing Easter storybooks with children is one way to build fond memories, while building faith and teaching youngsters about Easter, the Lord's Gospel and the promise of new life in Christ. What could be more meaningful, particularly for Resurrection celebrations? Is your favorite Christian Easter book for children on the list? Do you have any special Easter kids' book titles to add?